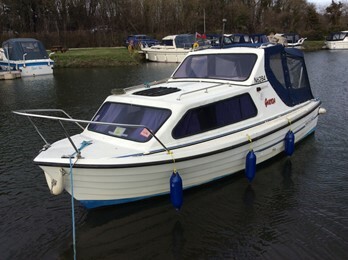 This modern styled cruiser has a simulated clinker hull and GRP moulded superstructure. There are 2 berths in the forward cabin area with an oval dining table that drops to form a double berth. Further aft is a galley to port and toilet to starboard. The cockpit bench seat aft pulls out to form a double berth.